Almost every Sunday in Tacoma we meet friends for breakfast. We drink coffee and chat about the latest news, even though we probably all saw each other on Friday night. For breakfast we order oatmeal, chicken fried steak, or some rendition of bacon and eggs with hash browns, toast or pancakes. It's nice to see whole wheat pancakes being offered these days as standard fare. In addition to having whole wheat pancakes, berries in season are available both in the cakes and on top in a syrup or scattered. Some of our group order pancakes and some order lingonberry blintzes. Many nationalities have a simple cake that cooks up in a greased pan. One version not seen as much is the delicate French version, crêpes. While we were in Hawaii near Hilo, I visited the Pahoa Sunset Rotary Club. 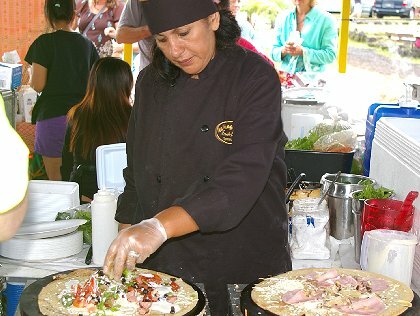 A new friend, Ariel Murphy, recommended several restaurants in and around Pahoa to try as well as a booth at the Maku'u Sunday Farmers Market, where a good friend of hers cooks French crêpes. With crêpes the batter is much thinner than pancakes. Ingredients include flour, eggs, milk, butter, and a pinch of salt. French crêpes are usually of two types: sweet crêpes made with wheat flour and savory galettes made with buckwheat. Buckwheat flour is gluten-free, which makes it perfect for people with gluten allergies. Like pancakes, we are starting to see more whole grain versions of crêpes appear. 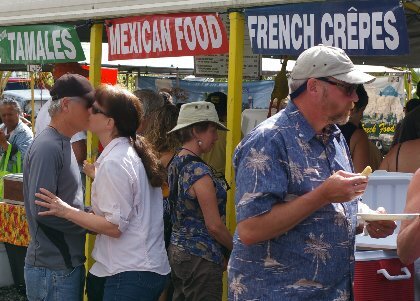 At the market it was easy to find the French crêpes booth. I just had to look for the longest line. Chef Louisa is from Peru, but received her culinary training in Paris. She also sells traditional Peruvian tamales as well as crêpes; but we couldn't make room for tamales, too. Several of our group opted for the savory versions. Here is what I'll make myself on Sunday for breakfast. Perhaps, I'll invite my friends for Whole Wheat Passion Fruit French Crêpes. Perhaps, not. 1. Place all ingredients (except the jar of lilikoi butter) in a blender and blend until smooth. Refrigerate for at least 1 hour. 2. Heat a crepe, saute pan or cast iron griddle over medium-low heat and spray with cooking spray. Pour in 2 tablespoons of the batter. Swirl the batter around the pan to completely coat the bottom evenly. 3. Cook for 1 minute. Gently flip over with a spatula. Cook another 30 seconds. 4. Add a couple tablespoons of lilikoi butter and perhaps chopped nuts (walnuts or macadamia nuts? 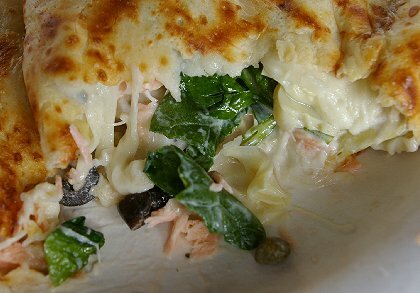 ), fold over the edges to enclose the ingredients, and slide the crepe onto your plate. Lilikoi butter is similar to an English lemon curd. Here's what I had from the French chef. I ordered the "Alaskan" made with baked salmon, artichokes, capers, basil, and a garlic/cream sauce. It was huge, but I managed to eat it all as well as a portion of Peg's "Parisian" with its ham and mozzarella, basil and garlic/cream sauce. They were both wonderful. I wanted more but figured I'd make them myself later. That way, I can add exactly what I want. I figure that we could experiment with the Roman Meal Whole Grain Baking & Cereal mixes to create new healthier versions. 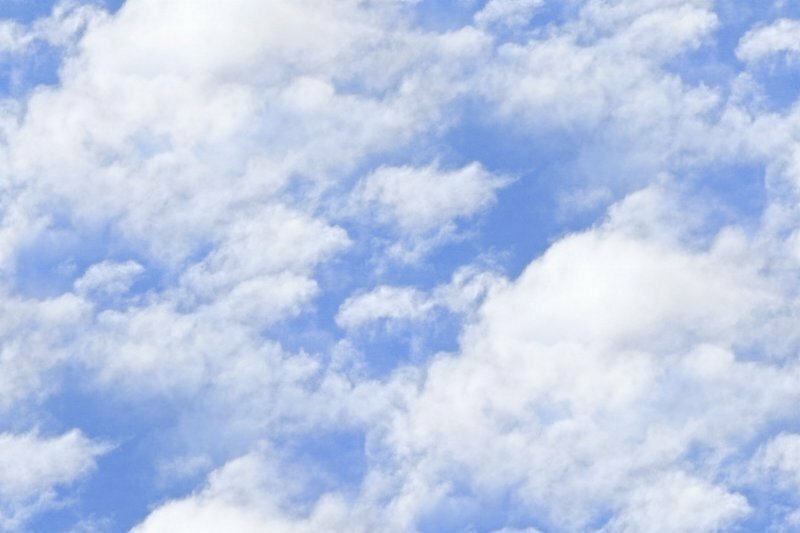 We may have to put the whole grain cereal in a blender to grind the mix to a more delicate consistency, while saving the health benefits. Delicious and nutritious - what more could you want? Crêpes are an easy-to-make dish that can be used for any meal of the day depending on the ingredients. Crêpes can be extremely healthy and simple to prepare. Like a tortilla the cooking method and the filling are what counts. Savory crêpes for dinner followed by a sweet crêpes for dessert can be accompanied by a tea or wine to complete an elegant meal for any gourmet, vegetarian, or meat and potatoes kind of diner. 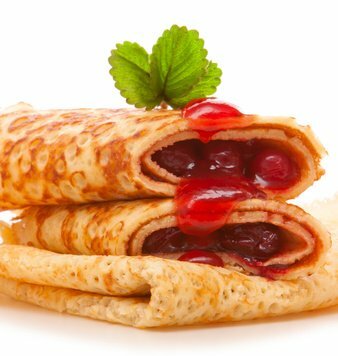 Healthy Crepes Are Creping Up On Us, crepes, whole wheat crepes, healhty crepes, free crepes nutrition content article, Healthy Aging Article, Healthy Living Article.